477. 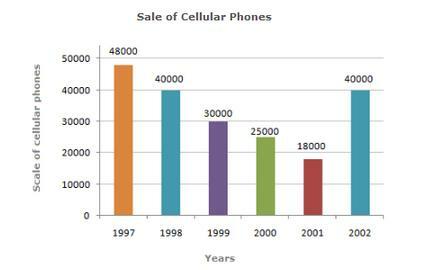 The difference in the sales of cellular phones for the years 1997 and 1999 is ? 478. The two years between which the rate of change of cellular phones is minimum are ? 479. The sum of sales of cellular phones in the years 1999 and 2001 is equal to that in ? 480. The percentage increases in sales from 2001 to 2002 was ?